Husqvarna has been making world class enduro bikes since the late 50’s having great success in I.S.D.E events with riders as famous as Steve McQueen. Husqvarna enduro two stroke bikes model range consists of the TX125, TE250i and the TE300i. The four stroke enduro models are FE250, FE350, FE450, FE501. 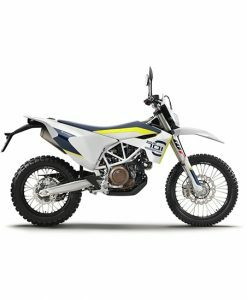 The 2018 Husqvarna enduro range are all road legal except for the TX125 and come stacked with high end equipment like billet clamps, big petrol tanks, DID rims, WP suspension along with fuel injection topped with Pro Taper handlebars, the bikes are ready to race so what are you waiting for with 0% finance deals on the 2018 Husqvarna enduro range TX125, TE250i, TE300i and FE250, FE350, FE450, FE501. 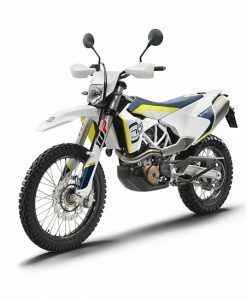 The Husqvarna FE range contains four stroke engines and are great enduro bikes to ride offering very smooth power and lots of torque. The FE350, FE450 and FE501 are there for those riders wanting more power. The new fuel injection Husqvarna TE250i and TE300i is a revelation using under 1 litre of 2 stroke oil per 5 tanks of fuel. The power is linear and smooth and all models except for the TX125 come with electric start.